Buying a new home is much different from buying grocery (it goes without saying). In order to pick the right home, you will have to visit multiple places, see photos, compare details, and pay attention to their neighborhoods too. The price needs to be something you can afford as well. 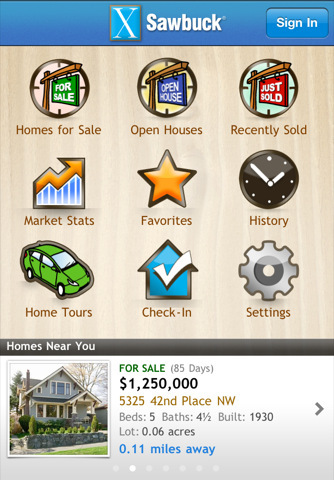 Sawbuck Real Estate is an attractive iPhone application that can save you time researching for your next home. Sawbuck Real Estate has a beautiful interface. 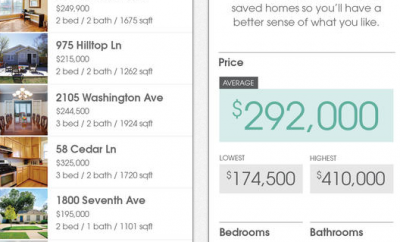 It provides you with MLS data listings on your phone. It is GPS-enabled, so it can find you homes near your current location. 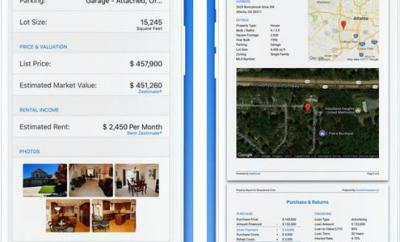 Users can search for homes, find open house events, and go through market statistics on their phone. The home detail page is full of useful information and quite helpful. The search functionality lets users search by price, type, and # of beds. The app can even provide you with driving directions to the homes you are interested in visiting. 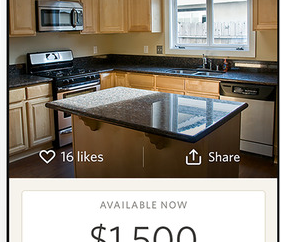 Sawbuck Real Estate can keep track of the homes that you have visited and liked. It is Twitter and Facebook friendly too. Unfortunately, it is not available for all cities. Let’s hope the developers will cover more areas soon.